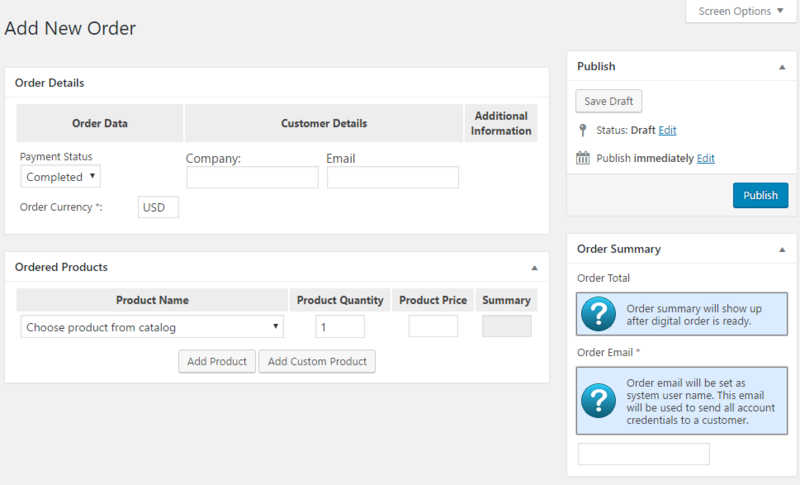 You can create orders from admin dashboard. 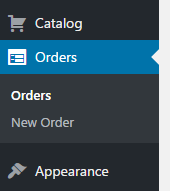 In order to do it find the Orders menu and click New Order. Set the payment status to Pending or Completed. Here all checkout fields appear. In the example shown on the screenshot there are only two checkout fields defined. Once the product is selected from drop-down the product price and summary will fill automatically. 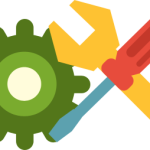 You can change product price and quantity according to your needs. Order total will be calculated and shown as soon as you save the order. Order Email is used to set up an account for the customer and send the order notification email.